It’s undoubtedly been a busy end of 2018/beginning of 2019 in the New York City real estate market. In fact, we’ve seen tons of negative press over the holidays give way to floodgates of buyers coming through the doors of open houses. A consistent reduction in asking prices over the last few quarters and the FED who just did a complete about-face and said the they would not increase interests rate for the foreseeable future added fuel to the fire, and buyers are coming in the doors of listings throughout the five boroughs. However, we are seeing stagnation in buyers making actual offers, which leads me to believe that it’s all mental. For whatever reason, buyers are still nervous to move forward. Is it concerns over geopolitical circumstances here and abroad? Is it fear of another global recession? Whatever the cause, buyers are being extremely conservative, overall. Even if prices are 15 to 20 percent less than they were one or two years ago, buyers are still balking. We are seeing high attendance at open houses, but fewer offers. And, if this overall trend of buyer hesitation continues, so too will the strong buyer’s market. It takes two to tango, so to speak. So, buyers, let me tell you honestly — it’s time to make a move! If you’re looking to time the bottom of the market, you’ll either miss it or you’ll get stuck in a wave of rising interest rates. Meanwhile, my advice to sellers who are thinking about coming into the marketplace has been the same for months now — pricing is paramount. If we are seeing 10, 15 or 20 buyers at an open house, and you have a competitive price, that means you’ll have a multiple bid situation, for sure. In a buyer’s market, buyers control the outcome. And if it’s competitive, it will be the buyers who push the envelope of market value. This market can be beneficial for both buyer and seller, believe it or not, but if it continues in standstill mode with buyers slow on making offers — especially with all economic indicators suggesting it’s a good time to purchase — then this is definitely a mental breakdown and a cognitive real estate recession. The most important fact lies in its name itself. Februa was a purification ritual and was considered as early Rome Spring Cleaning Festival. In this Festival people were ritually washed. Februs, the Roman god was named after this festival. Celebrate Black History Month at Sheen Center by attending thought-provoking film events along with discussion panels in remembrance of the sacrifices and contributions of African-Americans throughout history. For tickets, [click here]. Fashion Week returns this month, filled with luxury designers, style influencers, and shutterbugs lined up for the most extravagant shows of the season. While not all events are open to the public, check out the schedule and buy tickets to the available festivities [here]. The Westminster Dog show is back and the title for Best in Breed is up for grabs! Bring friends and family to watch dogs of all kinds get primped and pretty to compete throughout several categories. [Click here] to purchase tickets. There's no place like Broadway! Until February 10th, Broadway week is celebrating show business by offering guests two tickets for the price of one. For more information on what shows are available and to purchase tickets, [click here]. The world-famous Amateur Night at the Apollo returns for its opening night of the season with a new lineup of fresh talent, from dancers and singers to comedians and spoken-word artists. Buy tickets to the iconic event [here]. Confined by the cold? Leverage the extra time indoors by reimagining your space. In [this article], Decor Aid highlights 9 impactful yet inexpensive steps to elevate the interior design of your home. If you'd rather fly south this season, pack your bags and prepare for adventure. Elle Decor has rounded up the trendiest, warmest destinations for winter getaways. [Click here] for vacation inspiration. Looking for a new way to let your loved ones know you care on Valentine's Day? 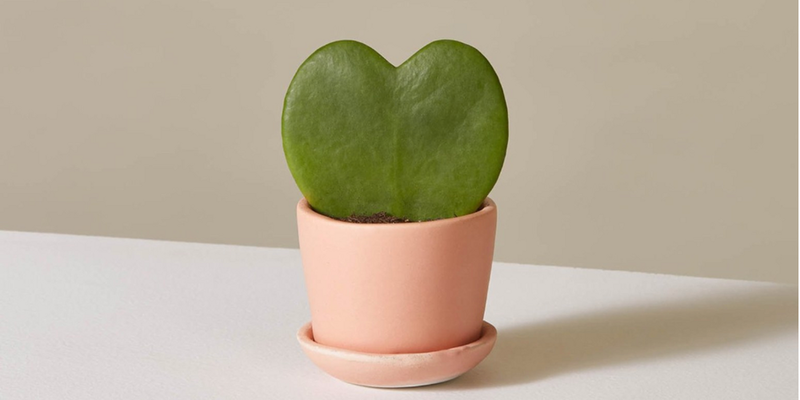 According to [this article] by Vogue, botanically-inspired gifts are the perfect 'something special,' and offer a more chic, eco-friendly alternative to traditional chocolates and teddy bears. If you haven't heard, Marie Kondo is taking the world by a storm with her joyful approach to a simpler, tidier life. With her new hit Netflix series, Tidying Up With Marie Kondo, Marie helps individuals sort through their clutter and, simultaneously, their troubles. Find out how you can streamline your surroundings and Marie Kondo your home in [this article] by Elle Decor.